Update 4.3.19 - Fully subscribed. Update 4.4.19 - Fully Subscribed. Off Calendar- Does not count towards CT Swimming meet requirements for various programs. See Meet Announcement. Update 4.6.19 - Fully subscribed. 04.02.19 meet events are revised. Update 3.8.19 - Updated events to correct 10/over designations. Update 3.27.19 - Meet events corrected to exclude 13 and over butterfly. Update 3.28.19 - Meet events corrected again. 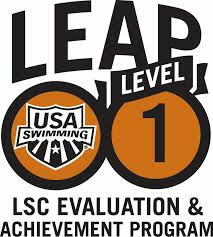 Approved - Does not count towards CT Swimming meet requirements for various programs. See Meet Announcement. Update 4.11.19 - Entry file updated to reflect ten and under events. Rev 01.17.19: SCM time standards are deleted. Note: Effective 02/13/19 the time standards are eliminated; see meet announcement for other changes. Rev 02.11.19: Meet Director email and clarification to Eligibility #5. Off Calendar - Does not count towards CT Swimming meet requirements for various programs. See Meet Announcement. Update 12.11.18 - Revised events to eliminate duplicate 50 backs. Update 1.23.19 - Meet full. Connecticut Swimming... better life through swimming. Connecticut Swimming promotes the pursuit of excellence in swimming and in life through competition and education. Connecticut Swimming, Inc., (CSI) is the local governing body for competitive swimming in the state of Connecticut. Connecticut Swimming, Inc. is one of 59 Local Swimming Committees of USA Swimming, the National Governing Body for competitive swimming in the United States.